The blizzard stopped more than 48 hours ago, but some Reston residents still can’t get started. There is increasing frustration Tuesday among residents whose streets have not seen a single plow pass. @VaDOTNOVA @VaDOT Bennington Hollow Lane in Reston STILL has not had a single pass done, all surrounding roads complete. can we get help? At least these residents were Tweeting to the responsible party — and in many cases VDOT answered. 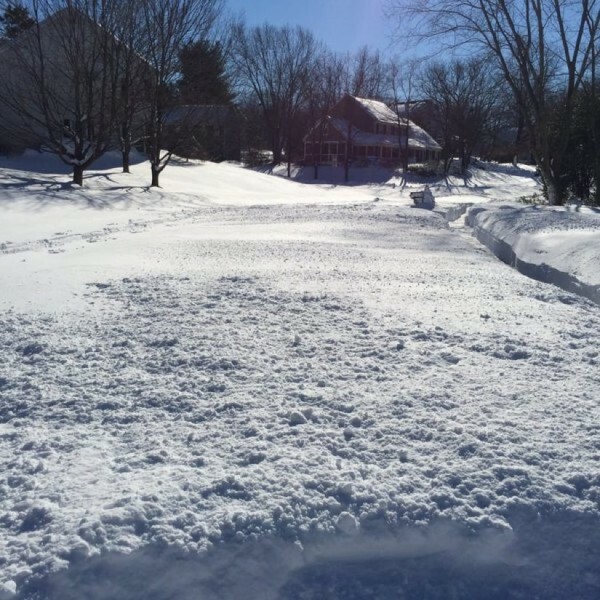 One frustrated resident was bringing the plight of her unplowed street to Newschannel8, Reston Association and Maryland Gov. Larry Hogan, among others. The frustration, and, in some cases, confusion is nothing new after a snowfall like the nearly three feet that fell here over the weekend. While many streets in Reston are plowed by private contractors, some are VDOT streets. VDOT has priority system, with the most-traveled roads getting highest priority. Residential subdivisions, especially cul-de-sacs, are the lower priority. Reston Association is not responsible. RA’s territory is RA property, such as the parking lots of Walker Nature Education Center and the pools. The association also plows the 55 miles of bike paths in Reston. Fairfax County is also not responsible for plowing. Most Reston neighborhoods are part of cluster or homeowners’ associations. If this is you, you likely pay quarterly or monthly dues in addition to your annual Reston Association assessment. This is the case with most apartment and condo complexes, townhouse neighborhood and a number of single-family home subdivisions. Part of your cluster dues go for snow removal with a private contractor. If you are concerned that the street has not been plowed, contact your cluster president. You should receive regular communication from the cluster via e-mail or flyer. Not sure which cluster you belong to or who is on the board? Start with RA’s neighborhood list. Visit VDOTPlows.org to see a real-time map of when your street will see a plow.